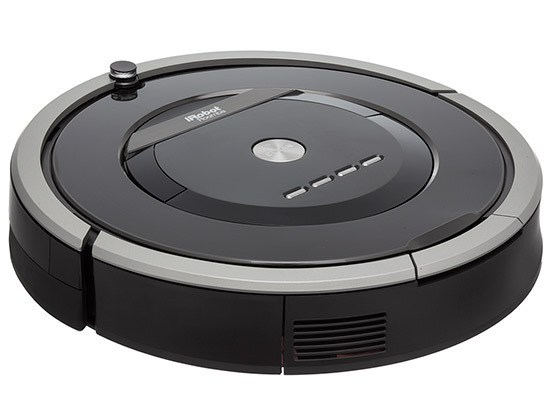 The first ever review we posted to The Test Pit was for a robot vacuum cleaner, the iRobot Roomba 700. It was back in the days when we got overly excited by the notion that a robot could vacuum our carpets... not like these days when we're very serious and down to earth. And so... ARRGGHH!!! IT'S A FREAKING ROBOT. WAHAY! IT'S CLEANING OUR HOUSE! IT'S CLEANING OUR HOUSE! QUICK, PUT SOMETHING ON TOP OF IT! HAHAHA! Ahem, sorry about that. 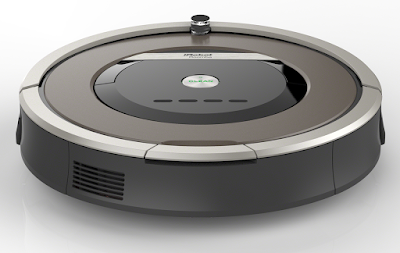 We review the iRobot Roomba 880. For those unfamiliar with this kind of gadget, the iRobot Roomba 880 is a all-in-one vacuum cleaner that can drive itself around your house, sucking up your dirt as it goes. It certainly isn't that housemaid robot from The Jetsons (which we always sort of fancied), but it is a very advanced self-guiding machine. Robot vacuum cleaners are becoming increasingly common in our homes, with many new (and established) brands churning out their own versions. So how do the makers of the Roomba, a device which now lends its name to all kinds of cleaners, like Hoover before it, keep on top of the game? It goes without saying that this is the best robot vacuum cleaner we've ever reviewed, both in features and the actual quality of the clean. The unit itself is just 35cm across and only 9cm tall. That means it does indeed fit under many different types of furniture, extending the surface area of your floors that get cleaned in one go. It also features a carry handle which helps in lifting the not-at-all-bad weight of 3.8KG. As well as the robot itself, the box contains the base charging station, two 'virtual wall/lighthouse' units, a remote, and a few extra bits and bobs to help keep it it clean. 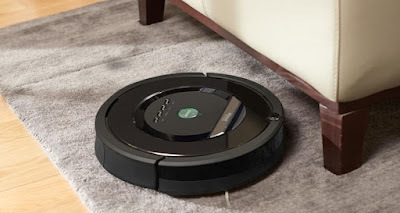 Unlike some of the cheaper robot hoovers (there, we said it – we call vacuum cleaners 'Hoovers' and we don't bloody care) the iRobot Roomba 880 can be fully programmed as to when to spring into action and start cleaning. This means that you can set it to start at 3am each morning, complete a circuit of your house (either upstairs or downstairs – it can't yet tackle stairs), then put itself back on charge for the following night. If you wanted to. We, however, preferred to set it going when we were awake so we could leave LEGO minifigures on top of it, and watch them 'drive' the iRobot Roomba 880 around. Great times. And yes, you read that right; it can put itself back on charge. 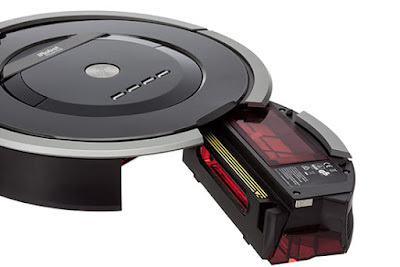 The underside of the iRobot Roomba 880 features charging contacts which connect to the base station (which remains plugged into a wall socket), meaning as soon as the Roomba's battery starts to get low, it scuttles back home to juice up. Watching the plucky little thing line itself up to the base station is both incredible and adorable. If you're a bit concerned about letting this thing run wild about your home, creeping into every room and sucking up just anything it desires, worry not. 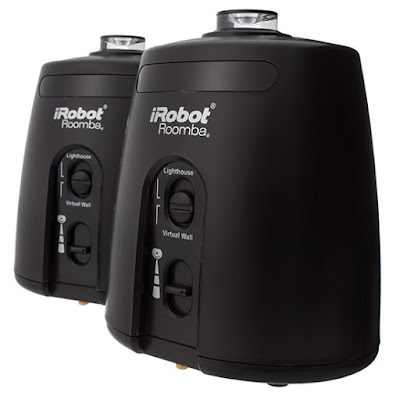 The two included lighthouses units can be dotted about your home and set to either lighthouse mode (which draws the iRobot Roomba 880 to it once one room has been cleaned, ensuring another gets the same treatment), or virtual wall mode (which creates an invisible barrier the Roomba will not cross – great for keeping it in one room or area, and away from things like pet food bowls on the floor). Once this thing has gone over your floor, you really can tell that it is a quality product. Instead of using rotating brush rollers, the iRobot Roomba 880 has two opposing rubber rollers which scrape dust and hair from carpets. The suction is also surprisingly powerful considering the small total size of the cleaner... and there came our only negative comment. Because this thing can shift a lot of dirt, we found that we had to empty it before the battery ran out. This means that although the iRobot Roomba 880 can clean for anything up to an hour before needing to recharge, the chances are that the bin will be full before that, requiring you to empty it before cleaning can recommence. To be fair, we found this only to be the case in rooms with particularly fibrous carpets, and on days when we hadn't vacuumed for a while. Still it is something to bear in mind if you're leaving the iRobot Roomba 880 to clean unsupervised. But at the end of the day this is an astonishing bit of kit and we've enjoyed every moment of it being in Test Pit Towers. It is the kind of technology that, once the novelty factor wears off, becomes seamlessly integrated into your day-to-day life without you having to think all that much about it. If you're looking to take your first steps into the world of autonomous cleaning gadgets, or you're looking to upgrade, look no further than this.